Browse: Home » Listings » SUPPLY-SMALL WALL BLOCKS » Keystone block » CASTLE WALLS, LLC. CASTLE WALLS LLC has a proven track record and has posed themselves to remain the leader in commercial and residential installation in Washington, Oregon, Utah, Idaho, Montana, North Carolina and California. 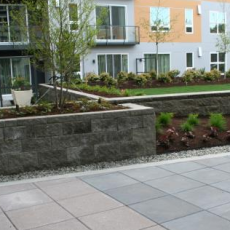 Since it’s inception in the year 2000 into the Pacific Northwest CASTLE WALLS LLC has grown from a retaining wall installer, into a full service company completing projects ranging from 500 to 250,000 sq ft. in wall installations, pavers and pedestal pavers. Today we specialize in commercial and residential projects as a full service design and build company. CASTLE WALLS LLC, is known to many as the go-to contractor of choice due to our knowledge, speed, versatility, and reliability. We will meet all your project needs large and small. Our vast experience in working with contractors, developers, city agencies and property management companies provides us the knowledge to work on any project. While specializing in Retaining Walls, Modular Block Walls, Pedestal Set Pavers, Interlocking Pavers and full line of Landscaping Services we provide services on warehouses, industrial complexes, strip malls, condominiums, apartments, retail outlets, office buildings and residential homes. With our in-house estimators and office staff CASTLE WALLS LLC has the “CAN DO and WILL DO attitude” to provide you with the best installation possible.